Fire station flooring needs to be robust and reliable – strong enough to take the weight of a fire engine parked on it and smooth enough to avoid causing any kind of trip hazard for personnel during an emergency response. 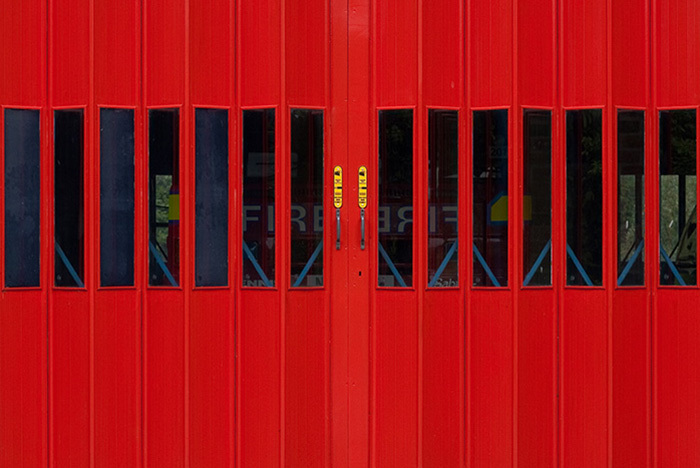 Poured resin can be used throughout a fire station, from the outside areas right through the main doors to the inside as well, and this gives a consistent floor surface through the entire building. During an emergency response, this means firefighters on foot have the confidence that the surface is all on one level, with no bumps or raised edges that could trip them up as they run to their vehicle. It also means the route out of the station for the fire engine is completely flat, smooth and seamless, shaving crucial seconds off of the response time when compared with negotiating any change in level at the fire station’s threshold. Embedded demarcation can clearly show where fire engines are to be parked, as well as adding other important information directly to the floor, such as access routes that must be kept clear at all times. Smooth and robust resin gives reliability over prolonged use. Integrated drainage and damp proofing protect the surface against any standing water. Aggregates can be included to texture the resin surface for extra grip under foot. Thelwell Flooring’s experts can help you to decide the exact finish you want for your new fire station flooring, for example if you want to include drainage for water run-off or aggregates to enhance grip. We can also provide surface preparation services, to clean and roughen your existing floor ready for the resin layer to be poured on top with good adhesion. Once we have decided what you need, we can install your new resin industrial flooring quickly and cleanly – with fast-acting resin that will dry as quickly as possible so you can go back to using your fire house for emergency response calls.